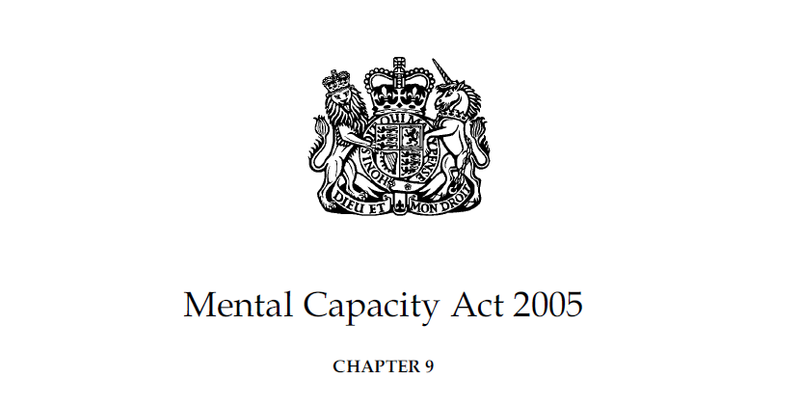 The Mental Capacity (Amendment) Bill [HL] had its first reading in the House of Lords last week. The second reading is scheduled for 16 July 2018. This bill has its foundations in the Law Commission’s report on Mental Capacity and Deprivation of Liberty, which was published last year. Those who read this Everyday Decisions blog will remember that the Law Commission report on Mental Capacity and Deprivation of Liberty had some quite exciting elements, which would have made a big difference to the lives of people with impaired capacity. Unfortunately, all of these have been left out of the Mental Capacity (Amendment) Bill, and we have instead been given a bill that only reforms the Deprivation of Liberty Safeguards (DoLS). Most people agree that the current DoLS laws are not fit for purpose and are in urgent need of reform. The number of people subject to the DoLS regime increased dramatically after the Supreme Court Decision in Cheshire West, where Lady Hale set out the ‘acid test’ for a deprivation of liberty, that the person is under constant supervision or control and is not free to leave. This then led to a situation where a great number of people were unlawfully deprived of their liberty simply because the DoLS system could not keep pace with the numbers of applications. The reforms in the Mental Capacity (Amendment) Bill, if enacted, will change the DoLS framework to a new system, provisionally called the Liberty Protection Safeguards ‘LPS’ by the Law Commission. 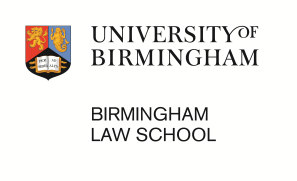 The intention with the LPS was to streamline the deprivation of liberty safeguard process, and save money whilst providing a framework that satisfies the UK government’s obligations under Article 5 of the European Convention on Human Rights (ECHR), and better protects the rights of intellectually disabled people. The Bill introduces a paired-back version of the LPS, with additional responsibilities for care home managers, which were not suggested by the Law Commission. The ‘headlines’ from the bill, and how it departs from the Law Commission’s proposals are set out clearly on the Mental Capacity Law and Policy blog. One of the big differences relate to extra responsibilities to be placed on registered care home managers. In their final response to the Law Commission report, the Government accepted the proposal to amend section 4(6) of the Mental Capacity Act to ascertain the past and present wishes and feelings, beliefs and values of the person, and to give particular weight to these in best interests decision-making. They also accepted the need for proper record keeping in order to use the ‘general defence’ under s. 5 of the Act. The recommendation for a power to introduce regulations to create a formal supported decision-making scheme was also ‘accepted in principle’. I detailed the difference these changes could make to disabled people’s lives in an earlier blog post. None of these provisions have been included in the Government’s bill. Whilst the supported decision-making power was unlikely to be included in the Bill, given the government’s lukewarm reception to it, the changes to best interests and to the general defence should have been relatively uncontroversial. Neither the Explanatory Notes on the Bill, nor the House of Lords library briefing on the Bill provide any real justification for why these elements of the Law Commission proposals have been left out. Changes to mental capacity law that have the potential to make life better for intellectually disabled people are too often neglected by politicians. It often seems that disabled people are not considered a political priority. This Government’s record on disability human rights is pretty awful: we must not forget, for example, that the UK Government are the only State Party to the UN Convention on the Rights of Persons with Disabilities to have been found by the Committee to be systematically breaching the rights of disabled people. With the Law Commission’s report, and the Mental Capacity (Amendment) Bill, there is a real opportunity to move our outdated ‘best interests’ focused capacity law towards a rights-based model, bring our capacity law framework closer to CRPD compliance, and make lives better for disabled people. Neglecting to do so is clearly a choice that has been made for the sake of political priorities. Over the next little while, I plan to post more thoughts, building on the Everyday Decisions Project findings on why changes to best interests need to happen at the same time as DOLS reform, and why I think giving greater responsibilities to registered care home managers in the new DOLS framework might be troublesome. I just read your comments on the Amendments to the MCA and mainly focused on the responsibility of those who lack capacity and who should represent them care-wise. Care Providers is not the way forward as they have their own interests. My LD/Autistic son was stolen. We have not seen for 6 years and we never will again while, the Care Provider makes all decisions for him, prevents contact and promotes unlawful DOLs. It was clear Gender Inequality by the COP and other inept Advocates. Thanks for sharing your thoughts, Dan. I’m sorry to hear that your family has had a bad experience under the current system.